Have you noticed some disconcerting changes to your home in Santa Ana, California, such as stuck windows and doors, pinpoint holes in your walls, creaky floors, and damaged cabinetry? If so, you may be dealing with a termite infestation. 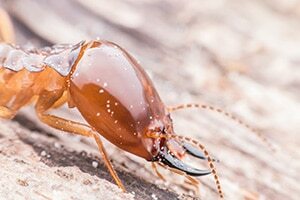 To prevent damage from becoming more widespread and costly to repair, contact the experts at Kilter Termite and Pest Control for a free termite inspection as soon as possible. Why Trust Kilter to Inspect Your Home? When you contact Kilter for a free termite inspection, we’ll send a highly trained and experienced technician to your home. Having served area homeowners since 1991, we’ve perfected our processes to ensure we can quickly develop an accurate assessment of any termite problem. After your inspection, we’ll provide you with an honest report and treatment recommendations. There’s never any costs or obligation to have your home inspected. If you do decide to use our termite treatment services, you’ll be happy to learn that we offer the industry’s most effective and convenient methods. For example, in most cases we don’t need to use fumigation. Rather, we can use our innovative KILGUARD system, which completely eliminates both drywood and subterranean termites without the use of foul odors or fumes. You can remain in your home throughout the process without having to worry about any negative health effects for your family or pets. And, our termite control system is so effective that we back it with a two-year warranty. Contact Kilter Termite and Pest Control today to schedule a free termite inspection at your home in Santa Ana, CA.